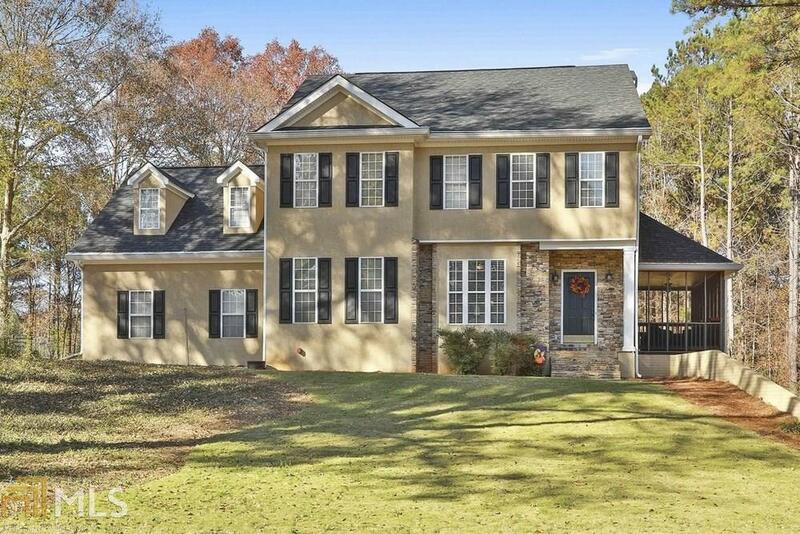 Immaculate 4 bedroom 4.5 bath home in sought after Starrs Mill school district on cul-de-sac in Millpond Manor neighborhood. Deck with Trex railing and screened porch. Kitchen has open eating area with granite counters and stainless appliances. Large laundry with folding table and cabinets. 4 bedrooms up -master with dual walk in closets. Master bath has subway tile and new floor tile. Bath up with subway tile and frameless glass. Hardwoods, new carpet on main and upstairs. Finished daylight basement with wet bar. Connected to PTC paths! Directions: 74 South To Left On Manor Drive, Right On Edinburgh Court, Home Is On The Left.